Jeff Watson has just posted a new blog entry at MyChemicalRomance.Com announcing a Soundwave Festival side-show that MCR is set to play with The Get Up Kids. 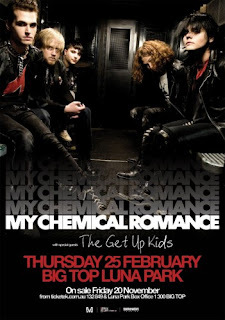 The club show, which is set to take place on February 24th at The Big Top Auditorium in Luna Park in Sydney, Australia, comes in the middle of MCR's five-date run on Australia's Soundwave Festival. Many Australian fans told me, when the band announced that they were going to play Soundwave, that there are often side stops on the festival tour. 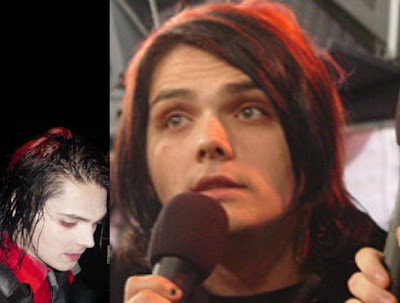 "On the back of their Soundwave 2010 appearances My Chemical Romance will be performing one club show only in Australia." Tickets will go on sale Friday, November 20.